It is currently Out Of Stock online, but I found mine at the Bemidji Hobby Lobby Store, when it was 50% off or $7.49. 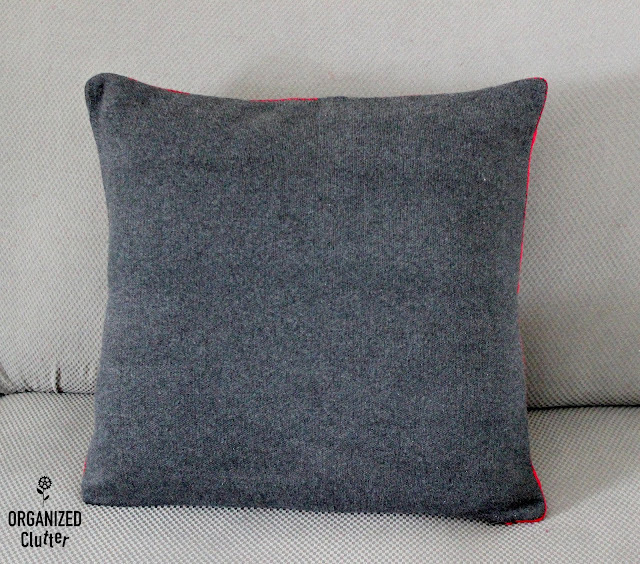 The online description says the pillow cover, with bottom zipper, is red and gray. The gray is more of a charcoal color, closer to black than gray. 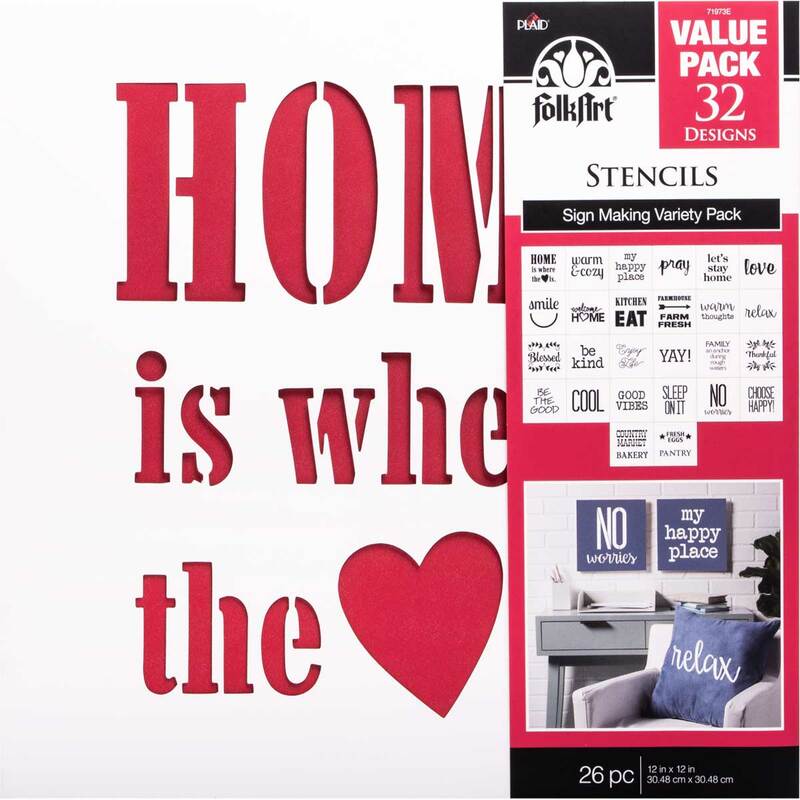 I will be using a stencil from the the newest pack, Folkart Sign Making Value Pack. 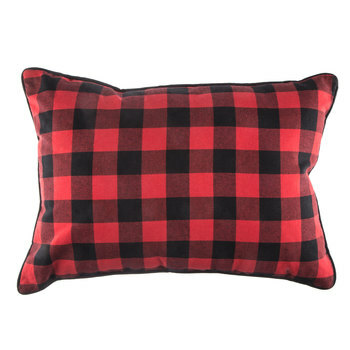 This pack is only available on the Plaid website so far. 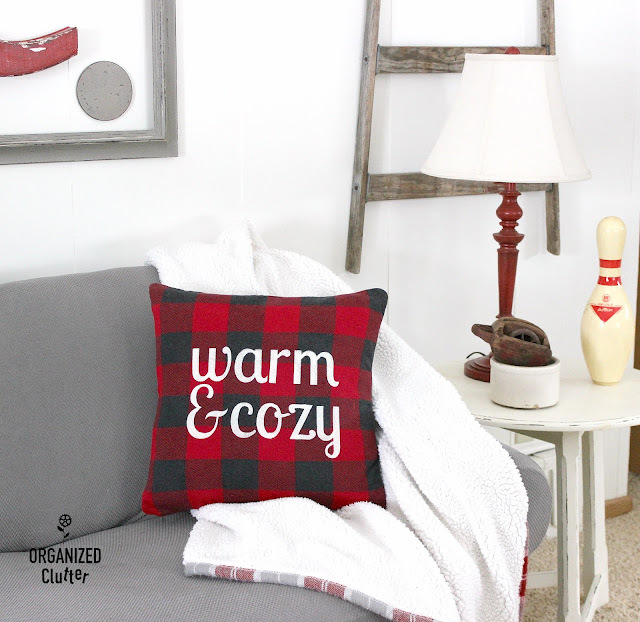 Stenciling on fabric pillow covers is so easy. Usually, I stencil the Basically Yours, natural, canvas style pillow covers from Hobby Lobby, so this is a little different. I pressed my pillow cover with the iron to remove the fold lines. 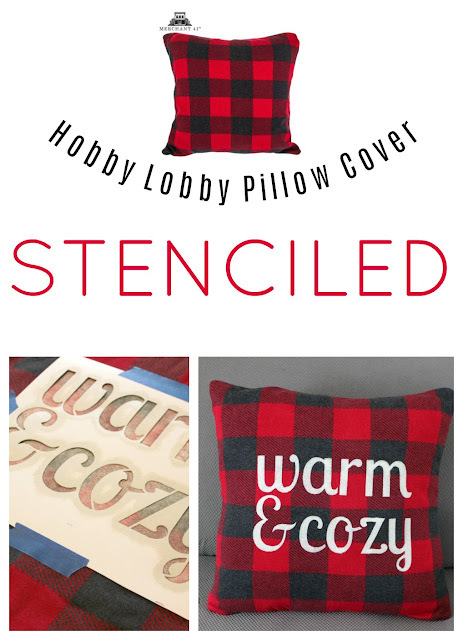 Center your stencil on the pillow cover. This paper stencil has been cut down for a previous project. Originally, they are 12" x 12". Tape them down with blue painter's tape. Because I have had such great results stenciling on fabric with Fusion Mineral Paint, I pulled out my Fusion Mineral Paint in Champlain , and put a plastic spoonful of the paint on a paper plate. I dip my brush, and pounce and swirl on the paper plate, then pounce on my stencil. After the application of one stencil coat, the white lettering is too light, so I pounced on a second coat. Wait for coat one to dry before doing the second coat. So the stencil is complete, however, I am going to fill in the stencil bridges. I position blue painter's tape on the top and bottom of the stencil bridges, and pounce the bridge closed. I use a fine stencil brush for this task. I had to apply two coats to the stencil bridges as well. It's not Christmas, but it is perfect for this time of year! 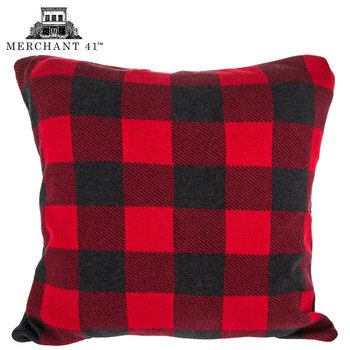 We are trying to stay "Warm and Cozy" here in Minnesota, and we love buffalo checks! This is the back of the pillow cover. The new pillow works well with the gray/cream/red decor in my den. 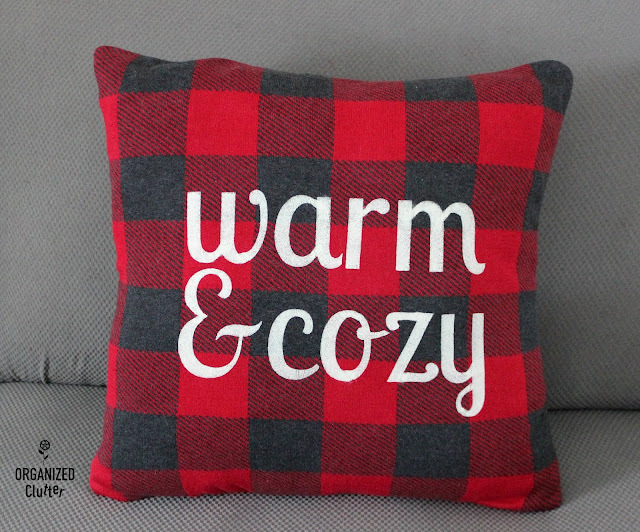 Have YOU stenciled a pillow or pillow cover yet? 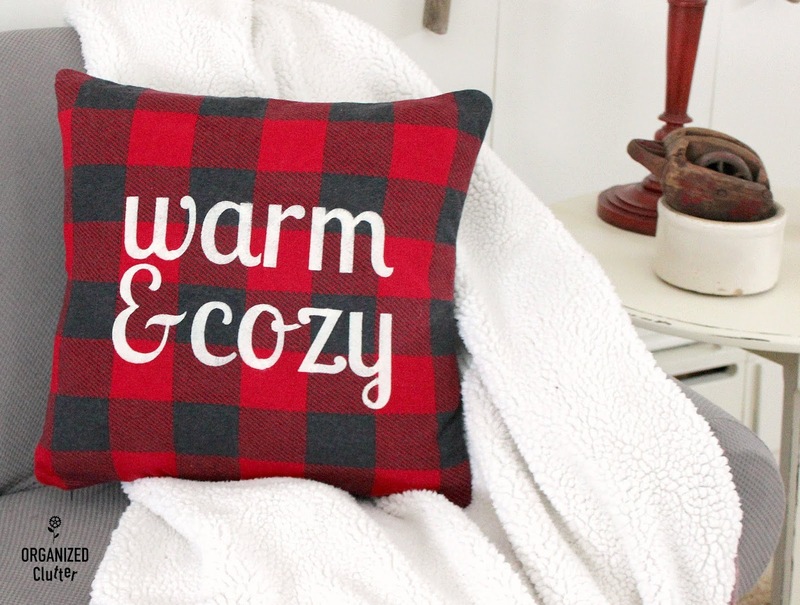 This PILLOW is on the Hobby Lobby website. It has a zipper, and could be easily stenciled! Buy it when it is 50% off.